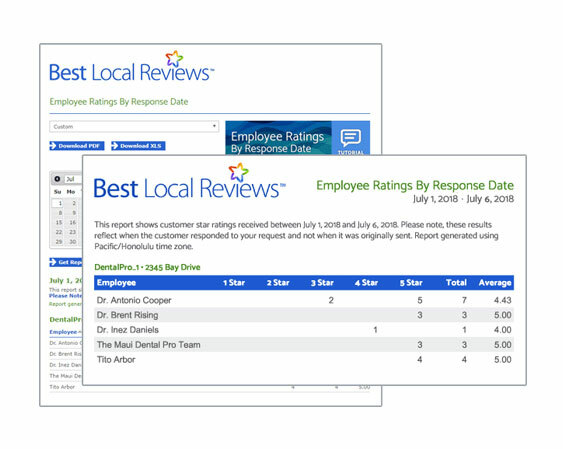 The only review and referral system designed by customer service experts with an emphasis on reviews and referrals. Twice the marketing superpowers … in the office or on the road. Email Review Requests are still the gold standard when it comes to getting reviews. We’ve paired emails with a “Text Too” strategy that will net you 30% more reviews than using texts or emails alone and our email delivery system boasts the highest delivery rate possible. Referrals from happy customers are the most cost effective way to spend your marketing dollars. 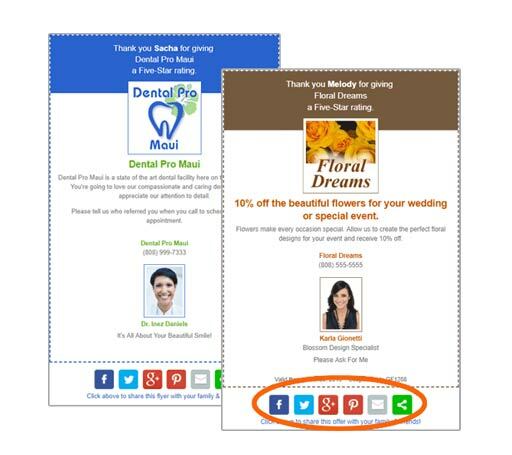 Social media shareable, digital coupons and flyers make it easy for your customers to refer you to their friends and family. Our system was designed by customer service experts to make sure that you never lose a customer or a referral because you’re perceived as pushy or needy. Unrequested review requests can be misconstrued as spam and puts you in danger of alienating customers. 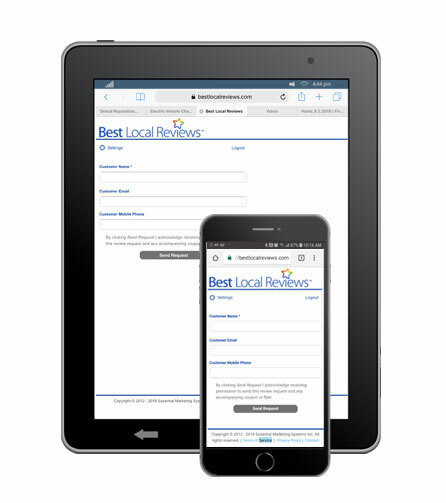 Request reviews anywhere on your cell phone or tablet. 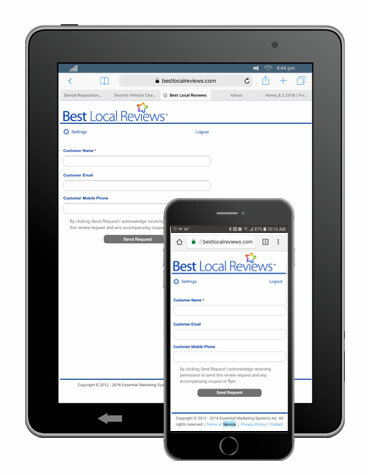 The Five Star Review System’s easy read mobile screens make requesting reviews in the field or as you move from room to room, fast and convenient. Reports that allow you to track Employee performance and Sender performance. (Senders are employees that may send the review request but did not provide the service or sales assistance.) Many businesses need to track both. We can do it! More than one location? Our Admin Account is included with every subscription. 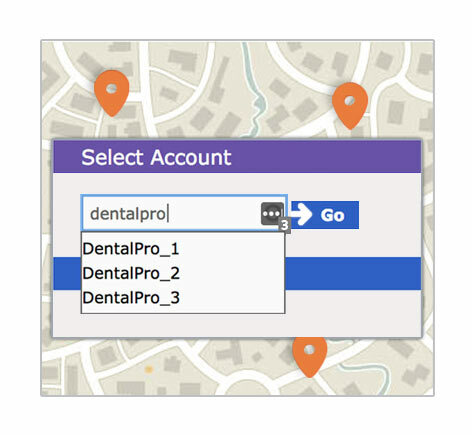 It allows a single login for all locations so that you can pull reports and monitor how things are going. A quick check-in and you’re done. Our social media, savvy digital coupons and flyers allow your customers to easily recommend you to their friends and family. The system even tracks how many times your coupon is viewed. Should I ask for reviews before sending a request or just completely automate the process? Automatically sending a review request ensures that every customer gets one. What it doesn’t do is allow you to send that request at your customer’s peak of happiness. That is more important now that Google does not allow gating (sorting happy from less-than-happy customers in the review request process). As important, not asking does not acknowledge that you’re requesting a favor. Demanding a favor isn’t courteous or effective and will get you into trouble with both your customer and your mom. What if my staff is uncomfortable asking for reviews? Your subscription includes onboard training (so that you and your staff will know how to ask for reviews and use the system) and ongoing training on Likeability, Handling Difficult Conversations and Working With Different Communication Styles. Asking for a review should be stress-free for you and your staff. Is texting the best way to send my request? Email is still the gold standard for business communication and outperforms texts when asking for reviews. It allows customers to respond when they are at a place to actually write a review. Most people still consider texting to be more personal and may prefer to use it for family and close friends. Which means you definitely want to ask before sending a text. Our system allows you to send either email, text or both. Check out the advantage to requesting a review by SMS and email. Do I want to sign a long term contract? Buyers remorse is a fact of life and any contract that you don’t write will never work to your advantage. We offer a monthly subscription and a money-back guarantee. * If you don’t feel that the system is a good fit for you simply cancel your subscription. Please provide your name and email and we'll immediately direct you to our "How It Works" video and send you the word-for-word script our subscribers use when asking for a Google review. It’s the most effective script we’ve ever tested when it comes to getting Google reviews without being pushy or needy. You’re going to love it! Watch Video - Get The Script!